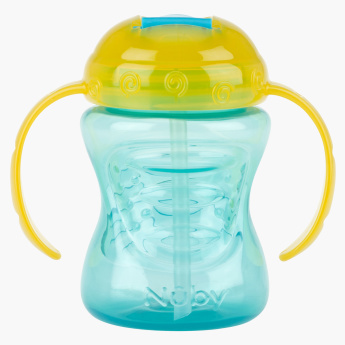 Grab this beautifully designed bottle that has a leakproof lid and is made from BPA free material to keep your little one's drinks safe. This bottle comes with handles to provide a proper grip for holding the bottle. Feature 2 : Easy to hold with grip design.